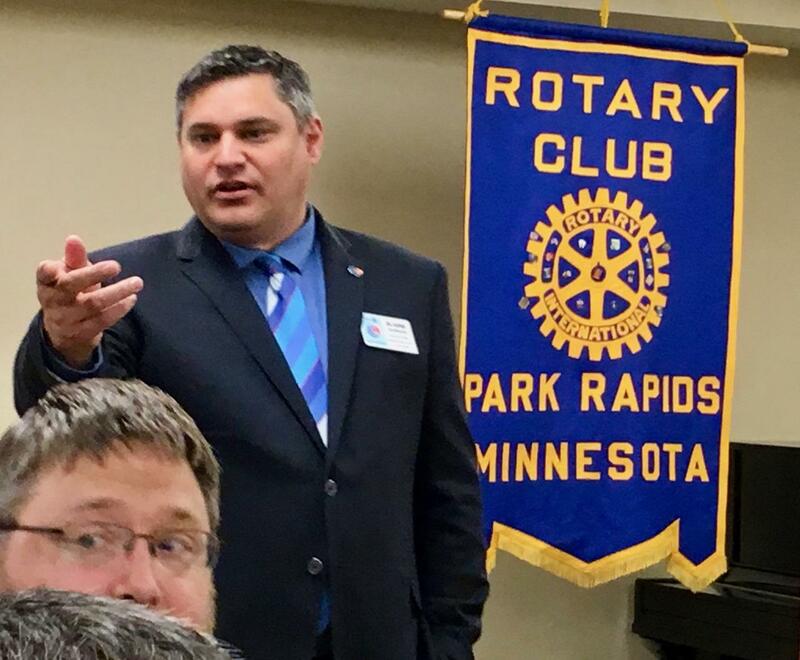 District Governor Blaine Johnson visited the Park Rapids Rotary Club Aug. 1. He joined the Bismarck Rotary Club in 2004 at age 27 and is currently the second youngest governor Dist. 5580 has had and one of the youngest District Governors of the 535 clubs worldwide. As he begins club visits, he is challenging each club to ask, “Is what we’re doing still relevant to the community and to club members?” Building relationships and giving back to our communities are the main reasons Rotary exists, he said, adding that was true from the start and remains the case today. He encourages club members “to check our differences at the door” and continue to get together to do great things.